So, you saw the Entice collection earlier. Here is the Ignite collection. It's a 6-polish collection that's shimmery and sparkly for Fall. 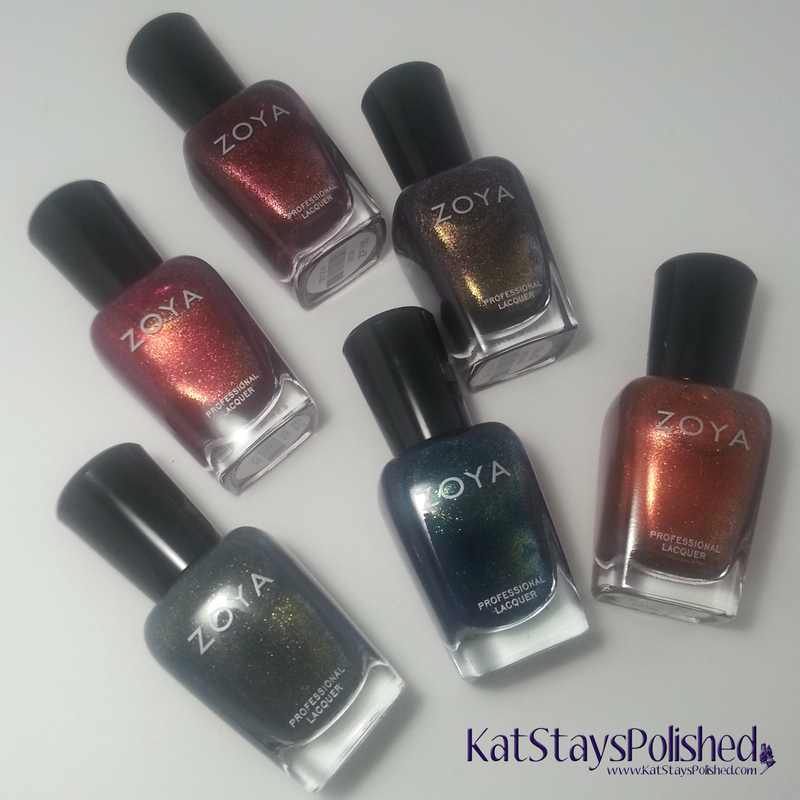 I love when Zoya does these cream + shimmer collections. The colors always complement each other and gives you a lot of options for nail color during the season. Let's jump right in! Teigen is a "pink toned cranberry with a copper liquid metal" shade. Yep, that's about right. I applied this in 2 coats with ease. As with most of the Zoya polishes I get, I had no issues with application, dry time, or removal. India is a red with gold shimmer polish. I love how deep this shade is and how it looks on my skin tone. 2 coats is all it takes to reach full opacity. Sansa is a "deep eggplant with a gold metallic sparkle" polish. i thought I would love this more than I did, to be honest. It's most definitely NOT a bad shade, but I think my expectations for this was much higher. Maybe it's because I'm a GoT fan...? It applied beautifully and the formula is great. I'm just a little on the fence about the color. Yuna is another one that I just can't on board with. This is a grey shimmer with copper and gold liquid metal. Again, great formula, opaque in 2 coats, and looks good on my skin tone but I'm not sure how often I'd actually wear this shade. Remy is a shade I'd definitely rock any time of the year. It reminds me of mermaids. This one does also show the color shift in different lights. Great formula and 2 coats to reach opacity. Lastly, there's Autumn. I think this is my absolute favorite of the Ignite collection. I love the copper shimmer of this shade and I could wear this all the time. I'm not sure why I'm so drawn to this, but I am. And yes, 2 coats, great formula! How did you like these shades compared to Entice? How about compared to past collections? One of my favorites fall collections. These are all so gorgeous and I would wear each one of them too.